My son Casey, an Akron Children’s patient, was born with spina bifida, a disability that caused paralysis in his legs. He was competitive and athletic as a toddler but was not able to participate in typical sports because of his disability. We found adaptive/paralympic sports when we lived in Indiana and through this, Casey found the competitive outlet he craved. He began wheelchair racing in 2006 at the age of 7 and set a national record at the age of 8. He was the first student in Ohio to join his school track team using a racing chair in 2009. 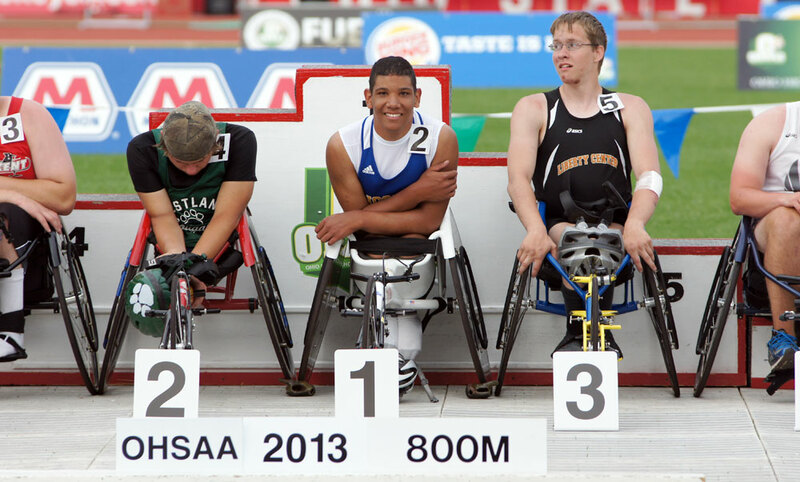 Through his advocacy efforts, OHSAA added wheelchair track events to the State Track Meet in 2013. He is a 4x State Champion – winning the 400 and 800 meter in 2013 and the 100 and 800 in 2014. 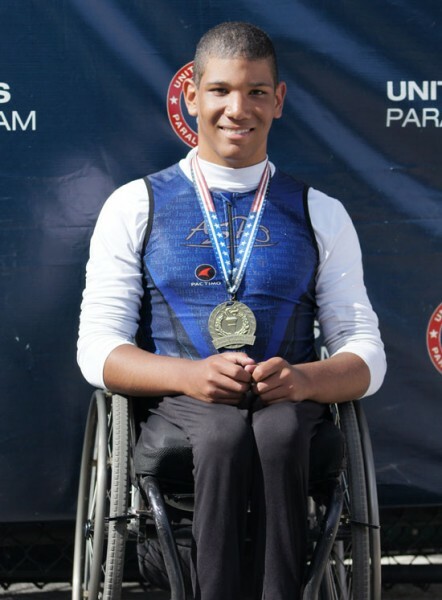 Last month, Casey participated in the U.S. Paralympic Nationals in California and placed 3rd in the 100 and 800 meter events against some of the best wheelchair racers in the country. He was also named a High School Track & Field All-American by the U.S. Paralympics in 2013. To help other individuals with physical disabilities, we started the Adaptive Sports Program of Ohio (ASPO) in 2009. ASPO loans adaptive equipment to individuals with physical disabilities so they too can join their school track teams. Of the 10 athletes who participated at the state track meet in 2014, 7 were using racing wheelchairs provided by ASPO (each chair is valued at $3,000). On July 19, ASPO will host the 5th Annual Casey’s Challenge 5k/2m in Wooster to raise money for adaptive sports. We are proud that Akron Children’s Hospital is a presenting sponsor for this year’s race.